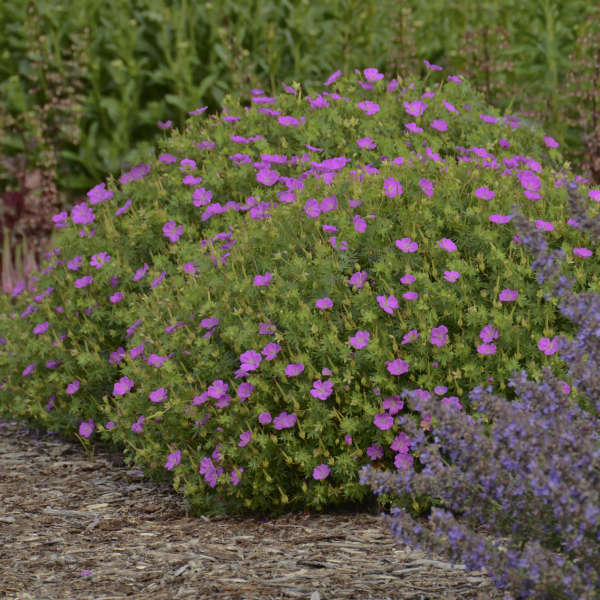 Geranium sanguineum 'New Hampshire Purple' | Walters Gardens, Inc.
A profusion of magenta-purple flowers atop compact, spreading mounds of leaves makes this one of the best low-growing cranesbills. Intricately cut leaves are green for most of the season but earn their namesake from the brilliant crimson-red they turn in fall. This species is so adapatable that it handles both hot summer and cold winter climates with ease. G. sanguinum is one of the most adapatable species in this genus. 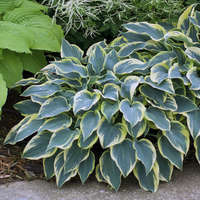 Though it prefers moist, well-drained soil, it will also tolerate periods of drought once established. For this reason, it is a good choice for southern gardens. Bloody Cranesbill will grow in full sun or part shade. In too much shade, however, the habit will be less compact and fewer flowers will be produced. Geraniums are generally considered pest free. They are also resistant to walnut toxicity. They require little care once established, but may be divided every 3-4 years. Best result come from late summer crops. Feed moderatly at 100-125 ppm N at each watering. 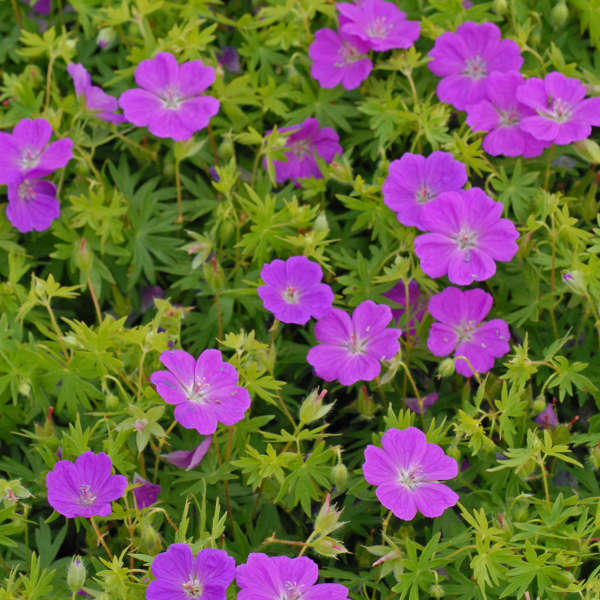 Aphids, caterpillars, fungus gnats, shore flies, thrips and whiteflies are the most common geranium pests. The primary diseases of geraniums are fungal leaf spots and root rots. Small plugs give great results when planted in late summer and then given a dormancy. Large plugs and bare root material are good options for quick turn spring planted crops. 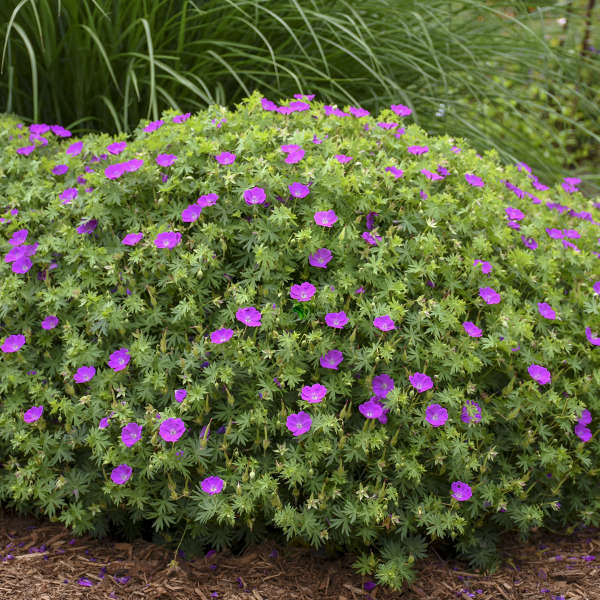 Moderate moisture is best for Geranium. Be sure to allow foliage to dry before sunset to prevent foliar diseases. Top of plug even with soil line. Bare root crown slightly below soil line. A tank mixing daminozide at 2,000 ppm with uniconazole at 3 ppm as needed works well to control overal plant size. 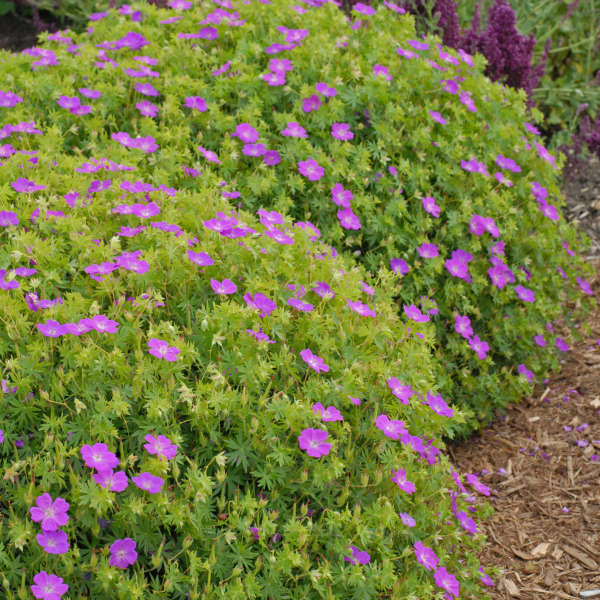 High light levels are best for Geranium. 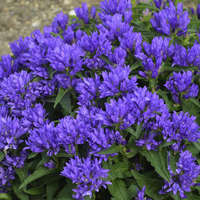 Top choice for planting is late summer from 72 count plugs especially for early season sales the following season.